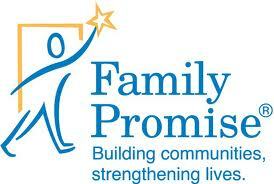 The mission of Family Promise of Knoxville (FPK) is “to help low income and homeless families with children achieve sustainable independence.” FPK first meets families in the crisis of homelessness and stabilizes them by providing food, shelter, and clothing. Working with professional case management staff, families are able to focus on identifying the core issues that led to homelessness, redress them, and regain housing. Once housing is achieved, FPK follows each family for up to two years to work toward sustainable independence through case management, periodic financial assistance, and education, particularly financial literacy education.